3 sizes of Surround A Bows included with your purchase. Now you can make professional looking Surround A Bow hair bows in the hoop! Stack 3 surround a bows to make the hair bow shown above. Stack a Boutique Hair Bow (made in the hoop and sold separately) on top of a 4 inch Surround A Bow. 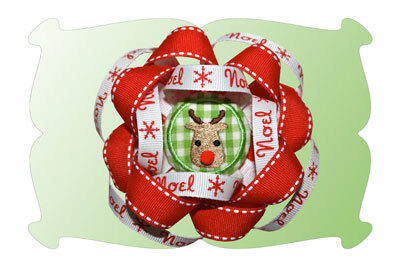 Use 3/8 or 5/8 inch ribbon to make a 2.50 inch Surround A Bow. 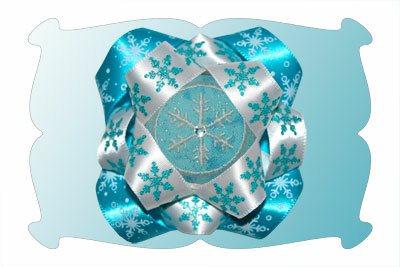 Use 3/8 or 5/8 inch ribbon to make a 3.00 inch Surround A Bow. 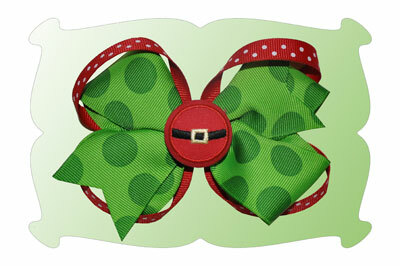 Use 3/8 inch or 5/8 inch ribbon to make a 4.00 inch Surround A Bow. 2.50 inch Surround A Bow (3/8 ribbon/ 5/8 ribbon): 2.40 x 2.43 inches. SC: 275/ 2.88 x 2.90. SC: 333. 3.00 inch Surround A Bow (3/8 ribbon/ 5/8 ribbon): 2.78 x 2.81. SC: 282/ 3.02 x 3.04. SC: 302. 4.00 Surround A Bow (3/8 ribbon/ 5/8 ribbon): 3.40 x 3.44. SC: 290/ 3.65 x 3.67. SC: 317.